"Conqueror's Oath" & "Bells of Awakening"
The hammers of heavy metal ring loud and true in the mountain halls of Salt Lake City, Utah! 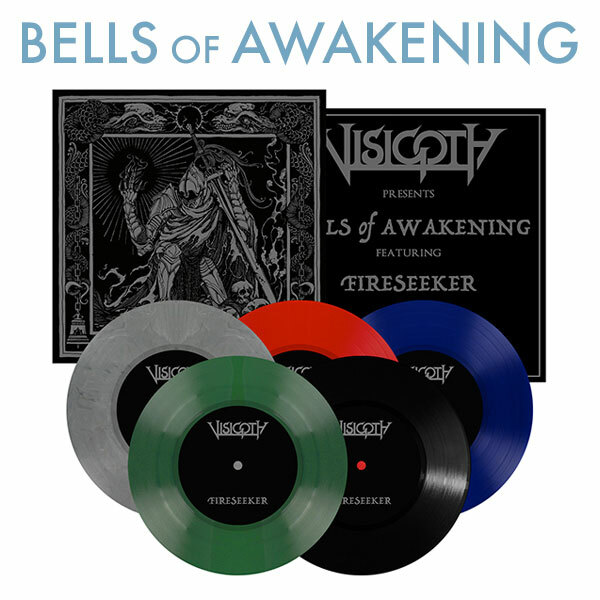 Standing in staunch opposition to any presumptuous notion of 'reinventing the wheel' or 'redefining the genre', Visigoth instead dedicate themselves to worshipping at the ageless altars of heavy metal with a singular focus on writing music inspired by their favourite records. Whether whipped into a frenzy ignited by classic USPM or NWOBHM anthems, or pensively meditating on traditional epic heavy metal or weighty doom-inspired moments, these Salt City hessians wear their influences proudly on their sleeves. In 2015, the band released their debut album The Revenant King, earning an underground following worldwide with their impassioned, electric live show. They brought the battle to the stages of the highly esteemed Keep It True, Frost & Fire, and Pounding Metal festivals, playing alongside Metal Blade legacy acts and inspirations Cirith Ungol and Omen. 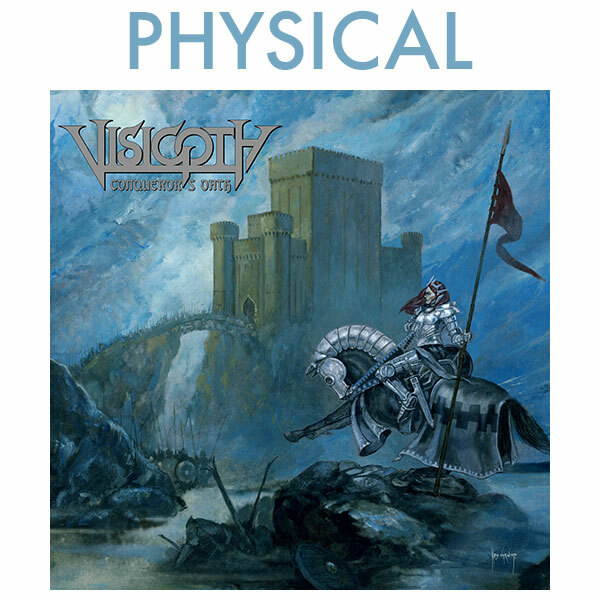 With their new 2017 long-player Conqueror's Oath, Visigoth stays true to the title and conquers the sophomore slump blues with 8 iron-forged anthems of pure metal magick guaranteed to satiate the hunger of the rock'n'roll hordes! Returning to the depths of the Boar's Nest in their hometown of Salt Lake City to record once again with engineer extraordinaire Andy Patterson (Subrosa, Deathblow, Dreadnought, et al), Conqueror's Oath was hammerforged in a whirlwind month of mayhem and mastered by Dave Otero of Flatline Audio (Satan's Host, Nightbringer, Khemmis, et al). Immortalized by breathtaking cover art created by none other than underground album art legend Kris Verwimp (whose work has graced records by Absu, Bewitched, Desaster, Horna, Moonsorrow, Skullview, Arkona, and many, many more) in proper swords-and-sorcery fashion, Conqueror's Oath stands tall on the field of battle, serving as a gauntleted fist in the face of non-believers; The Revenant King may have introduced Visigoth to skeptical audiences, but Conqueror's Oath will leave no doubt in any metal maniac's mind that this band is here to up the irons and defend the faith! Hell-bent for leather and heeding the call of the road, the Utah-based barbarians will be summoning their sonic storm throughout Europe in February and March following the record's release, including appearances at the Metal Assault and Hell Over Hammaburg festivals. Truly a band that thrives in a live setting, Visigoth are eager to prove their metal mettle and crush any stage put before them - be it the open air of a festival rig or the murky obscurity of a hidden dive bar, you can count on this American quintet to bring the thunder! Prepare for the onslaught of Salt City Steel!